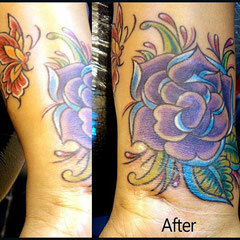 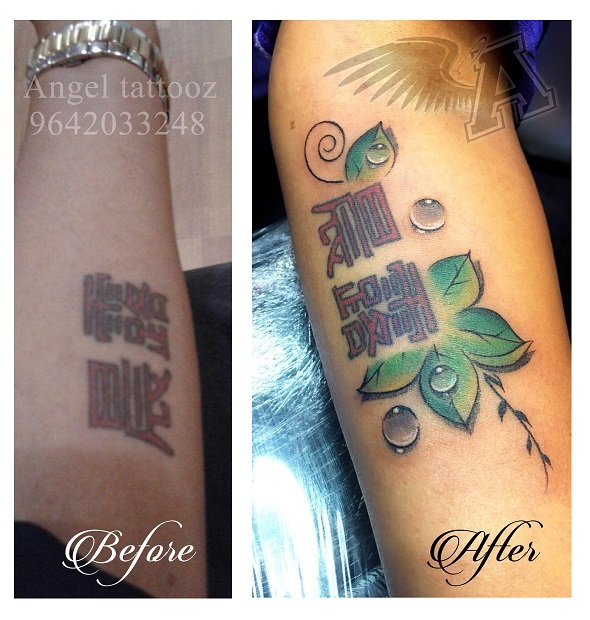 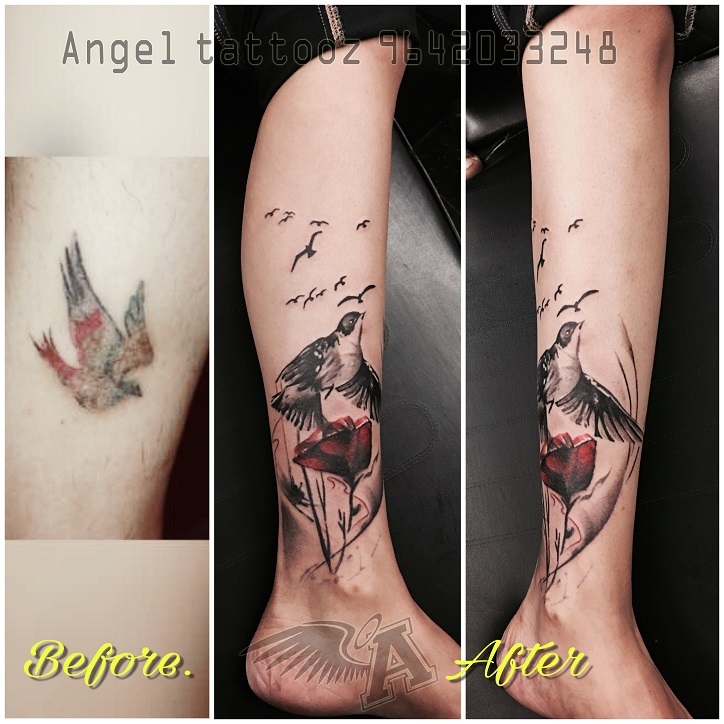 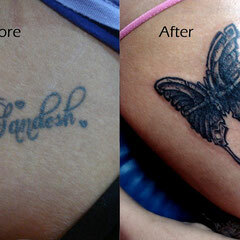 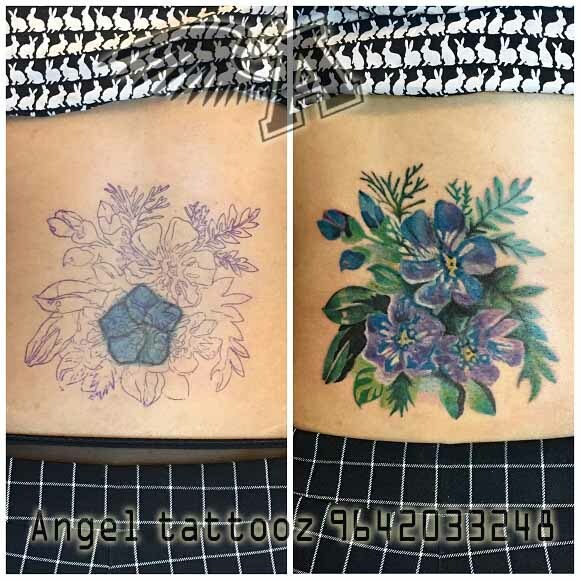 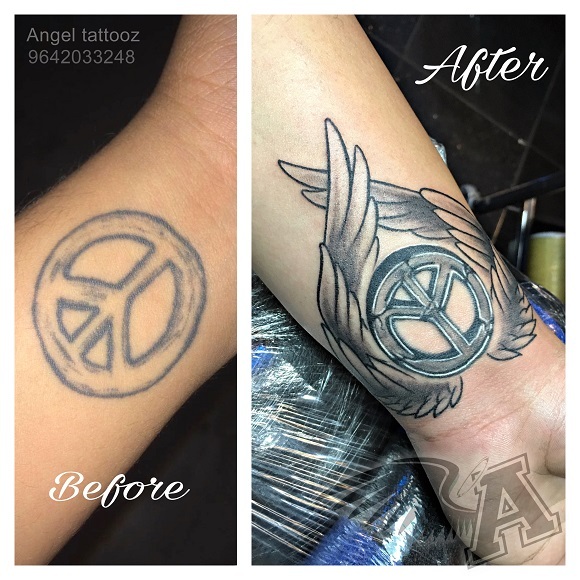 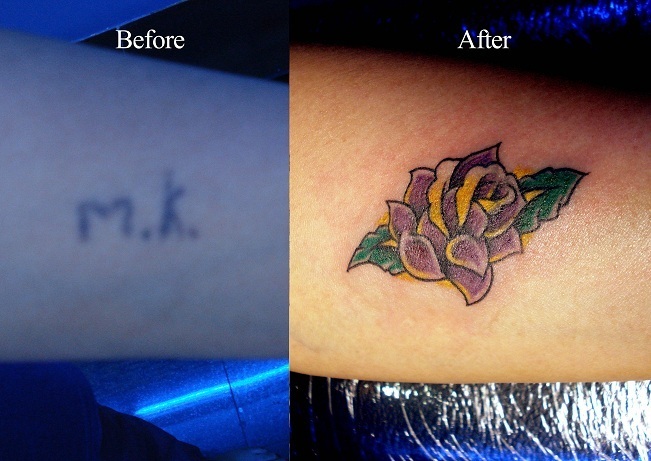 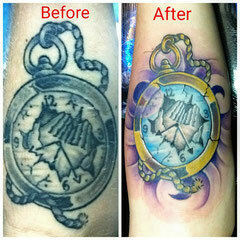 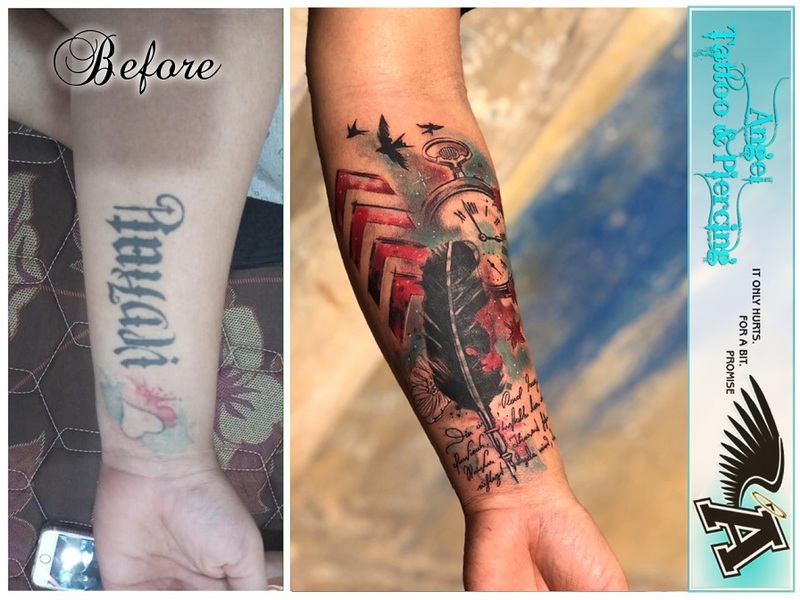 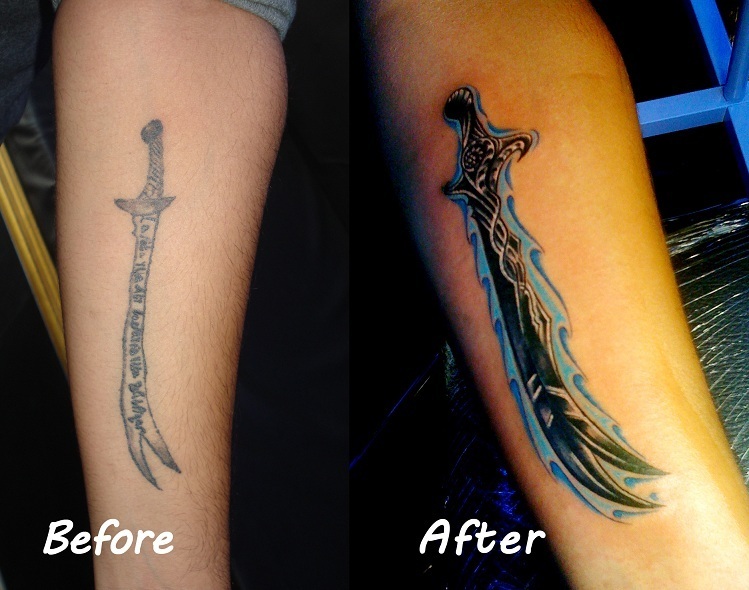 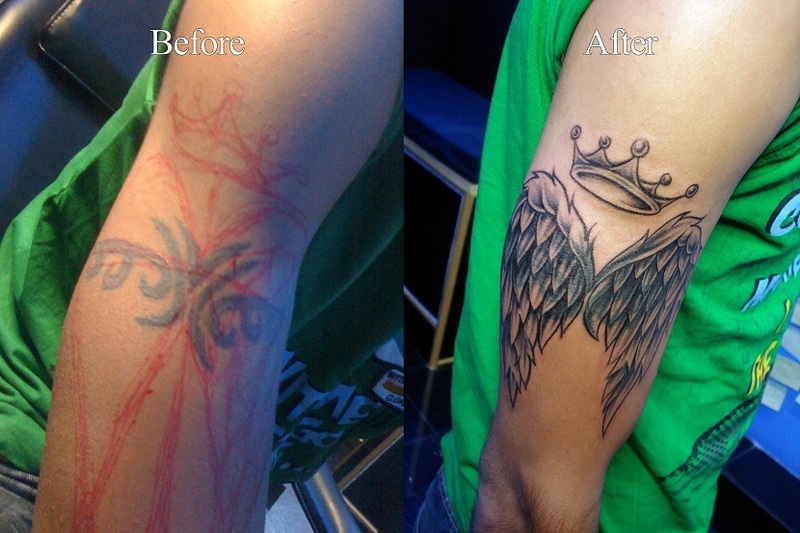 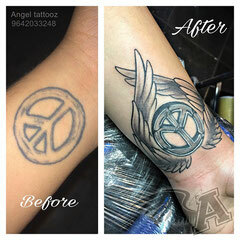 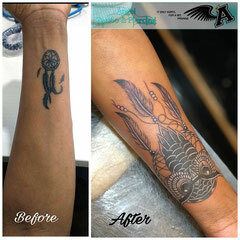 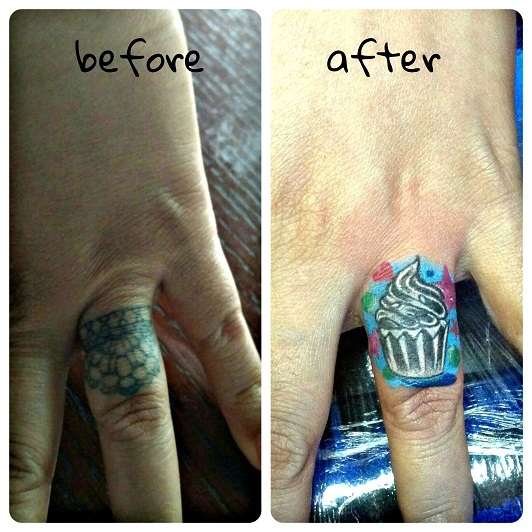 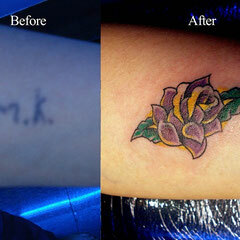 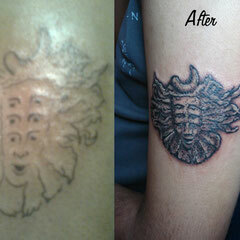 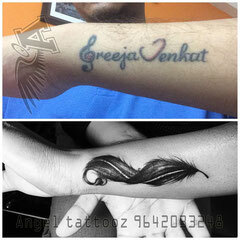 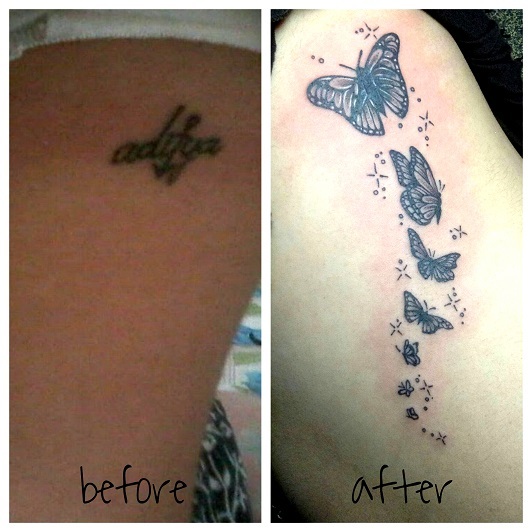 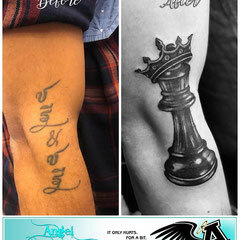 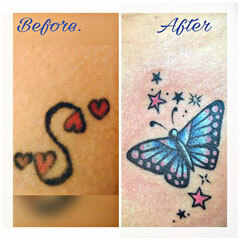 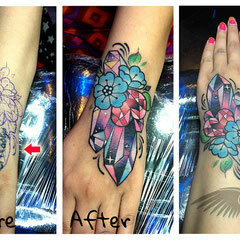 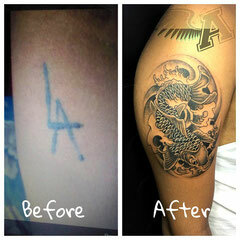 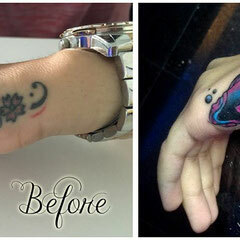 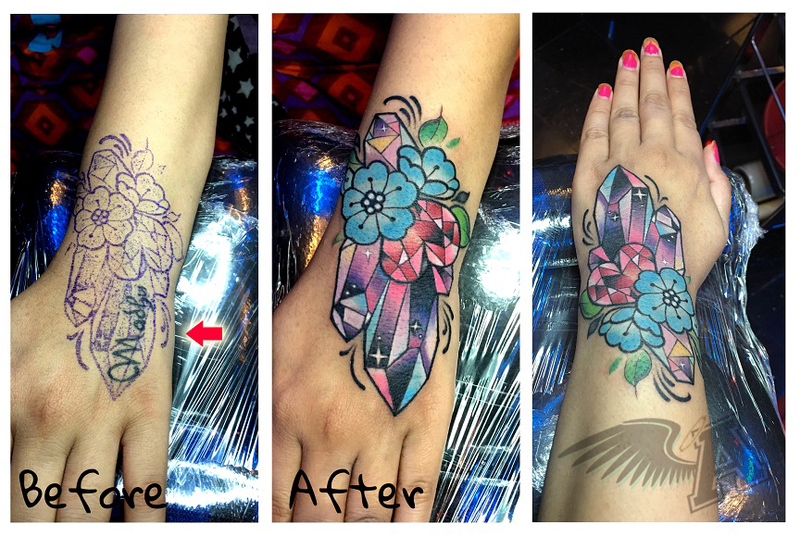 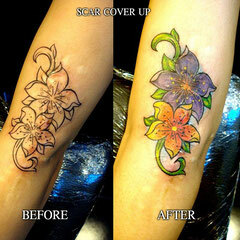 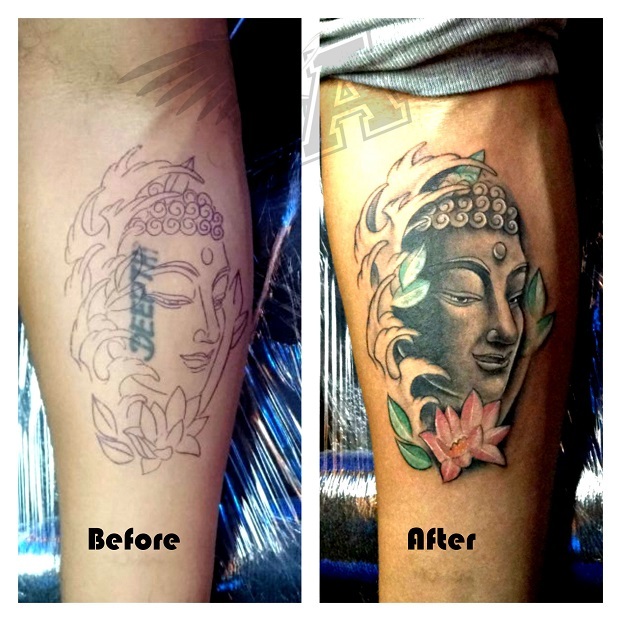 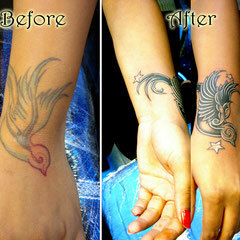 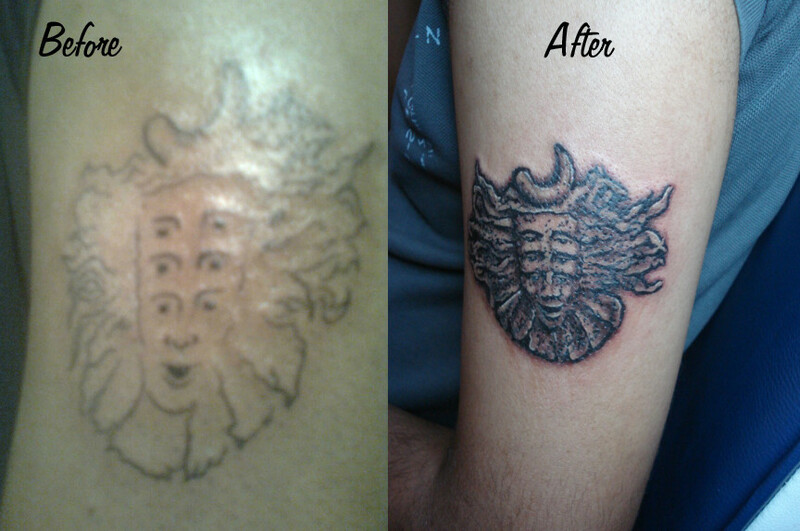 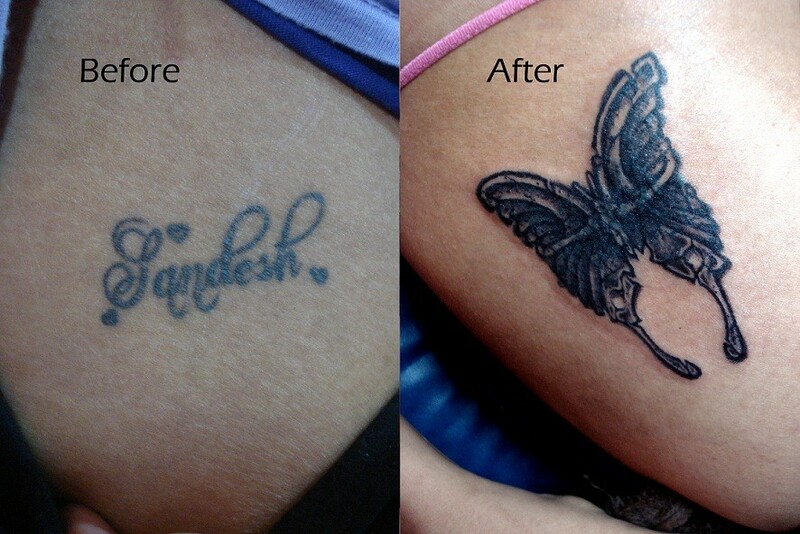 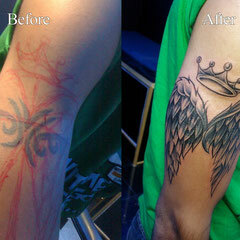 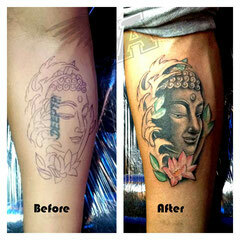 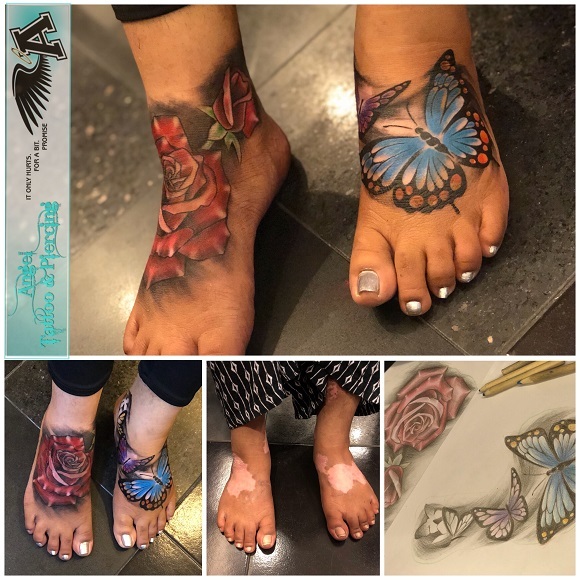 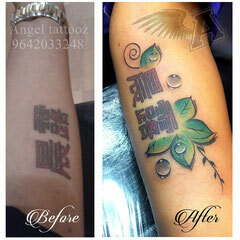 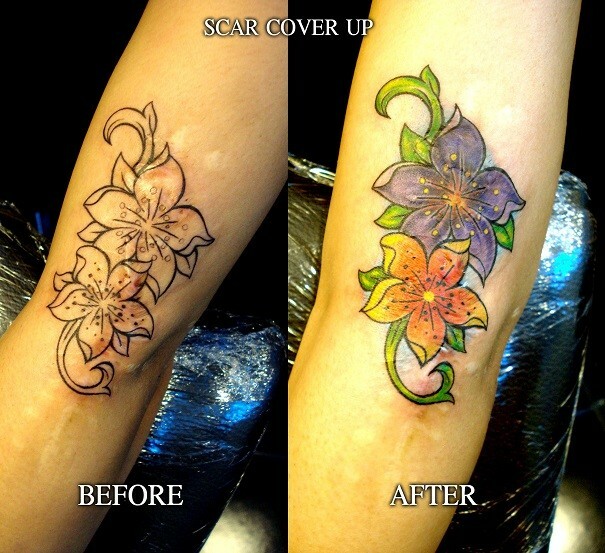 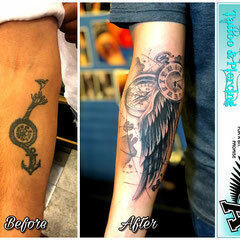 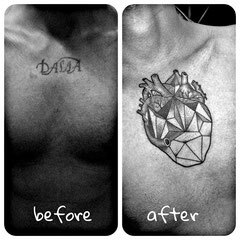 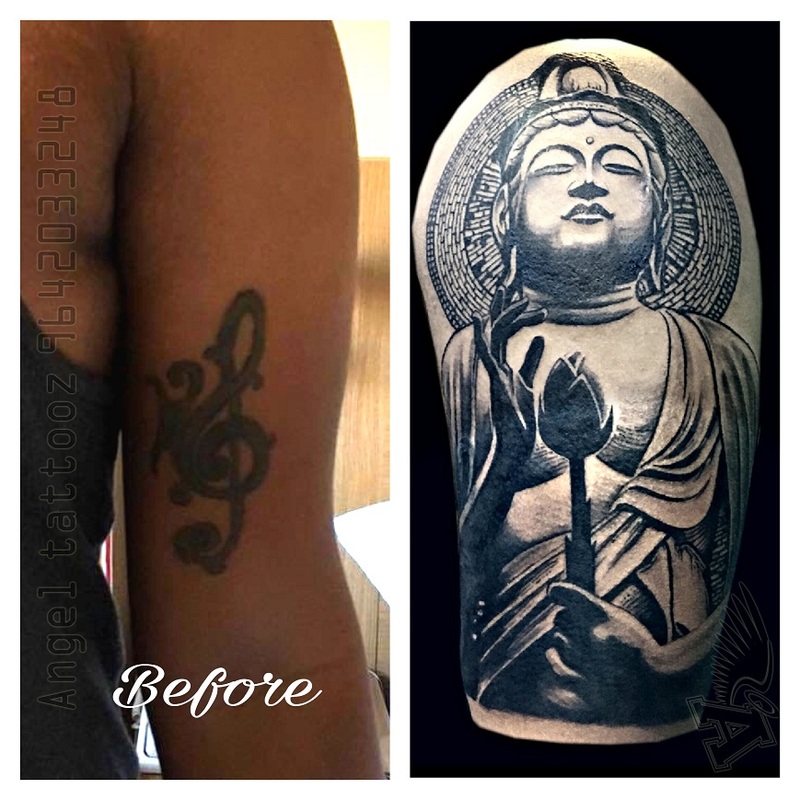 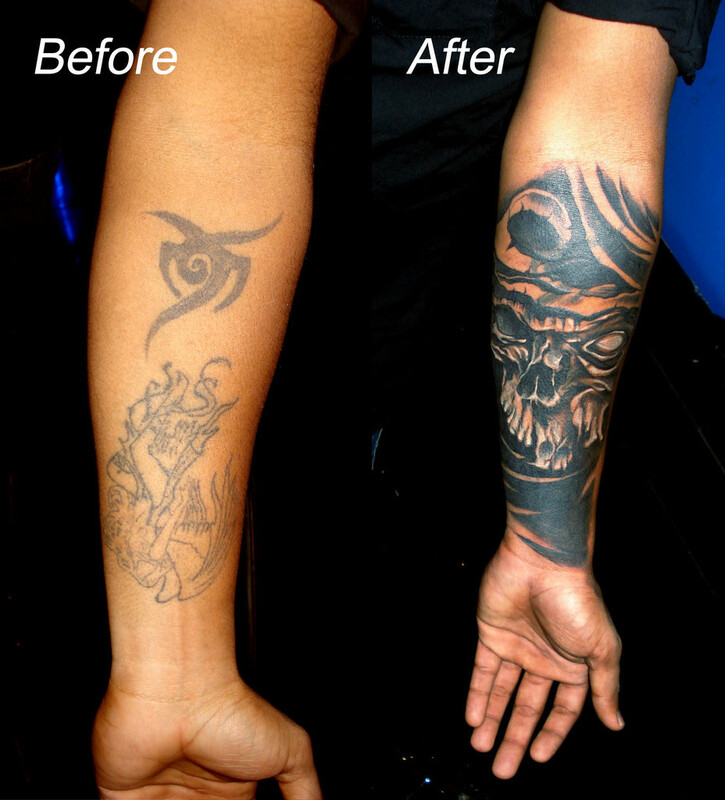 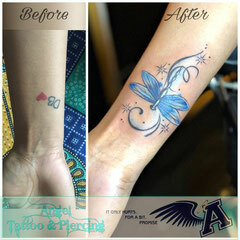 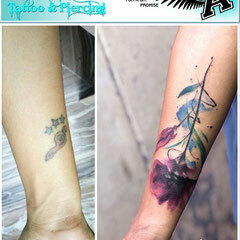 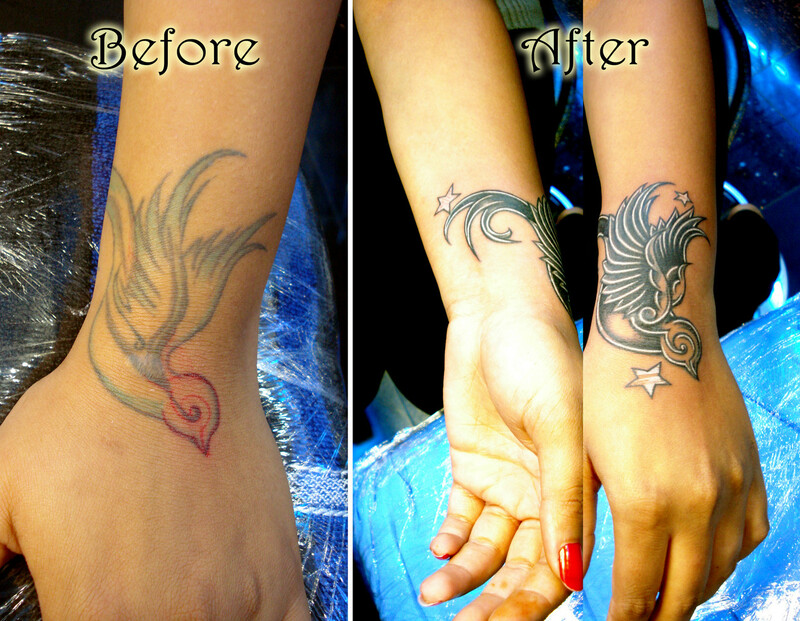 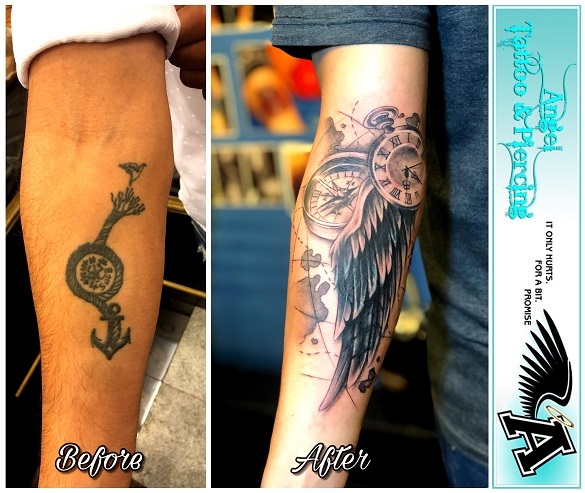 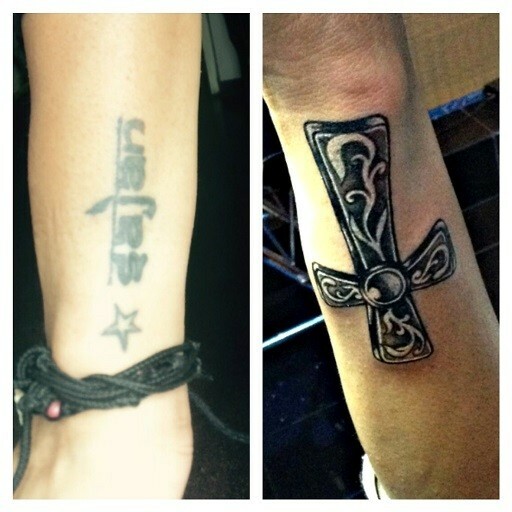 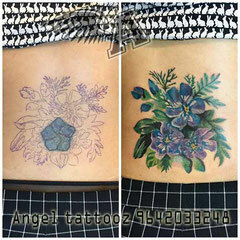 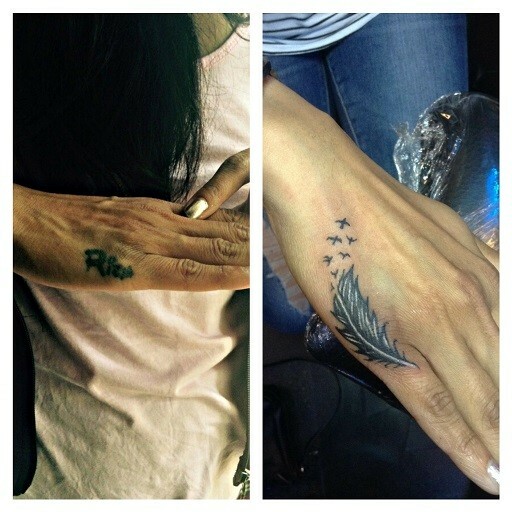 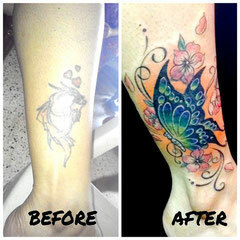 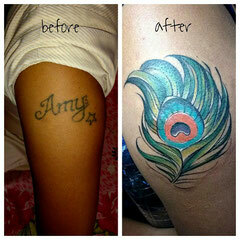 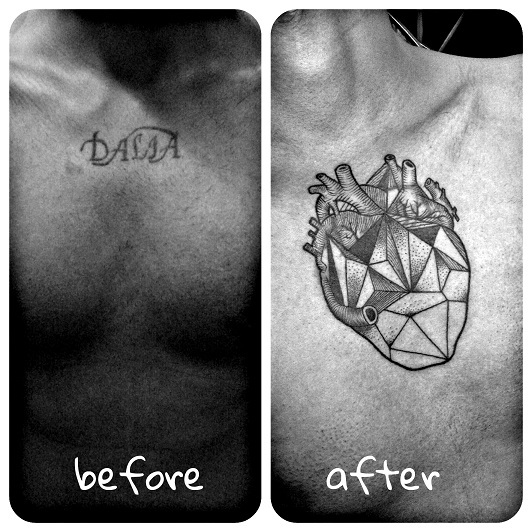 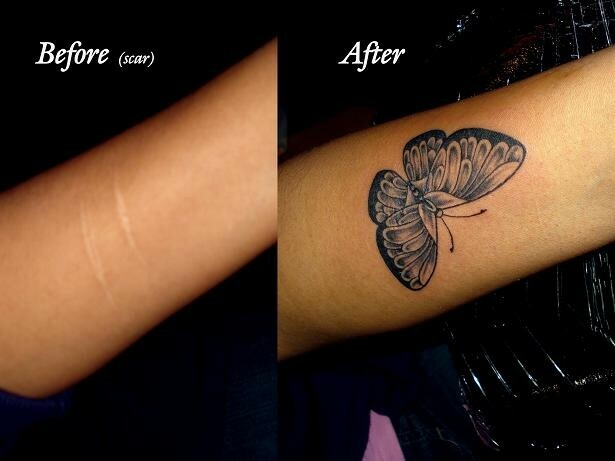 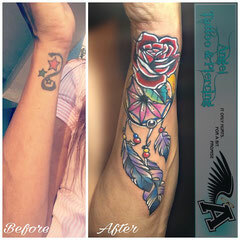 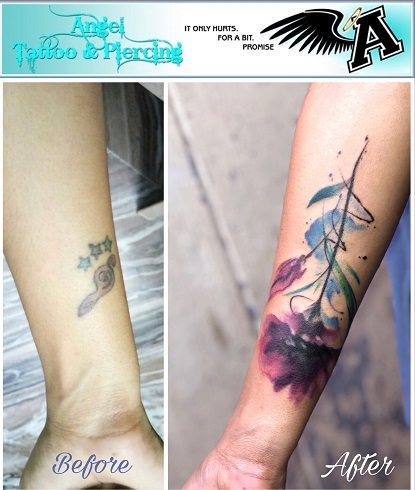 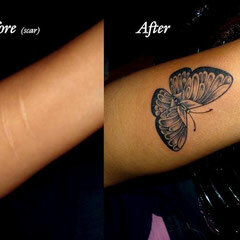 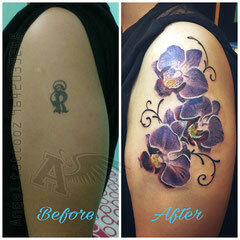 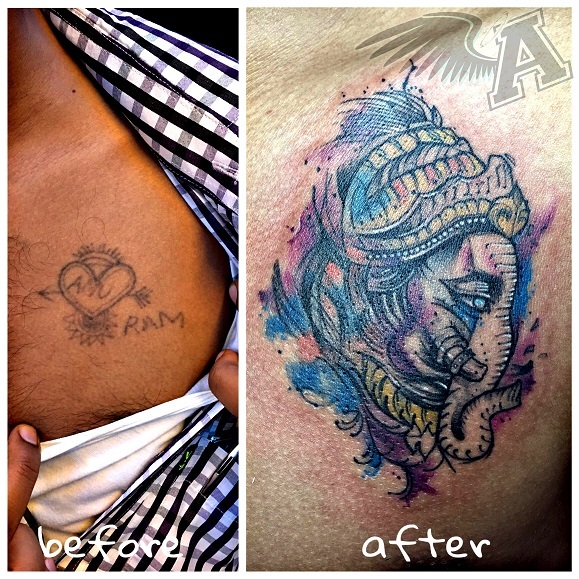 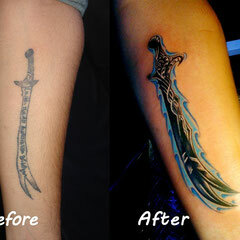 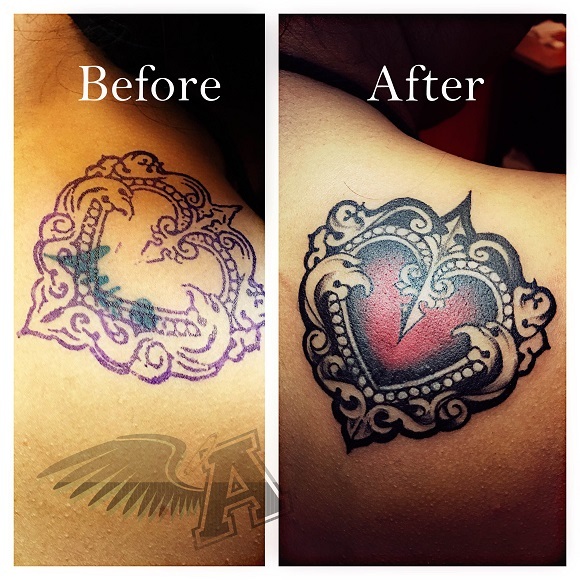 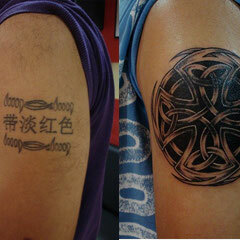 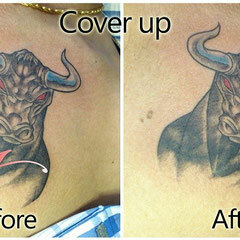 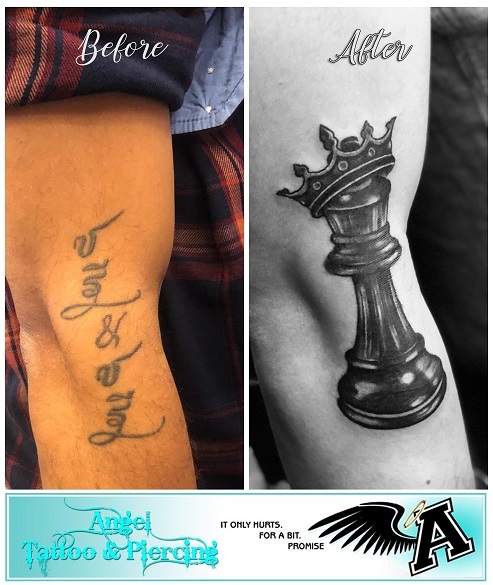 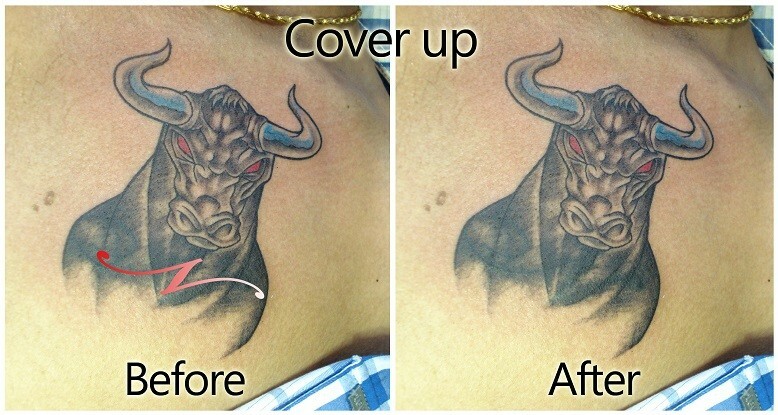 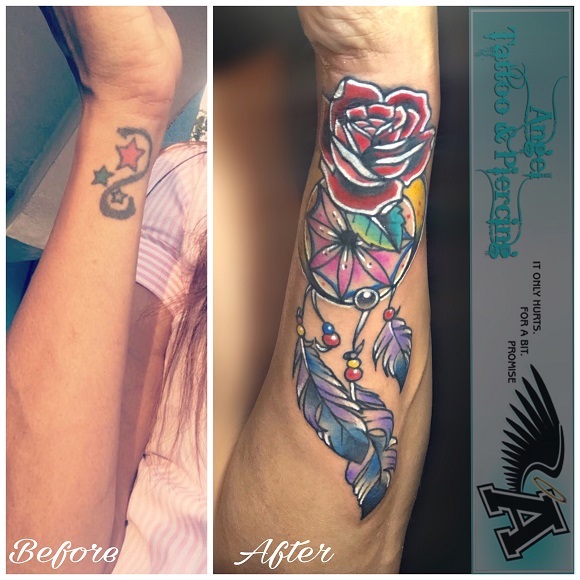 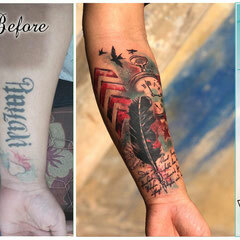 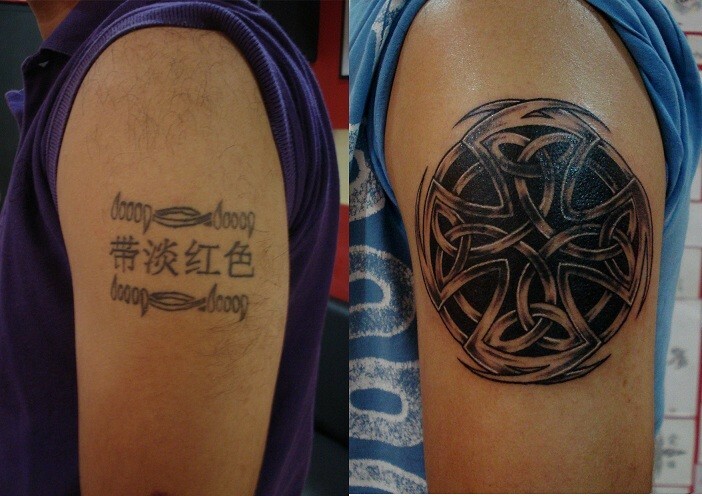 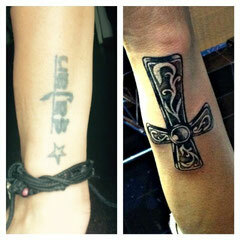 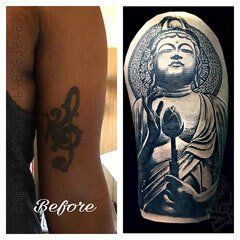 Cover Ups - Welcome to Amin`s Angel Tattooz and piercings studio, training and tattoo material supply in Hyderabad. 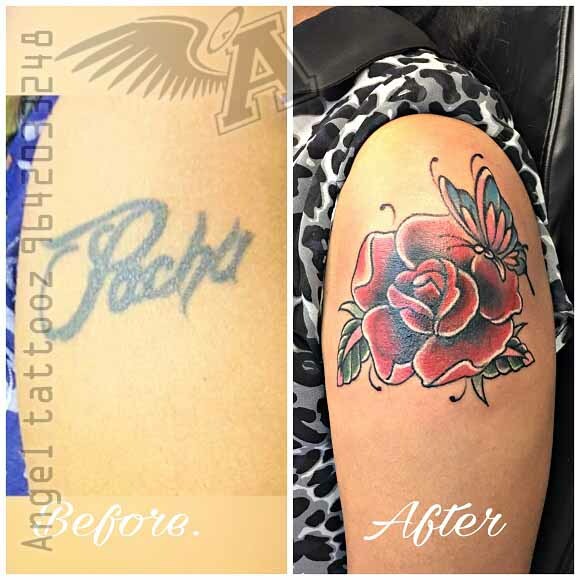 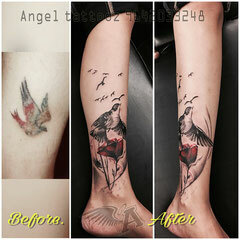 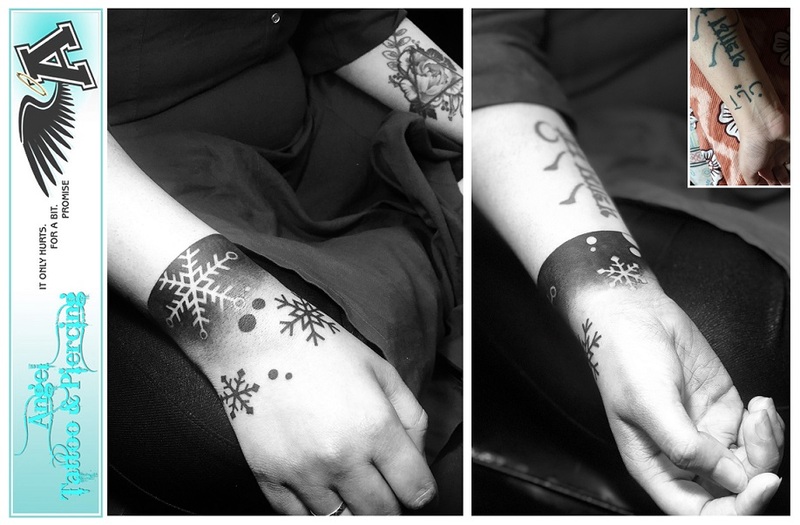 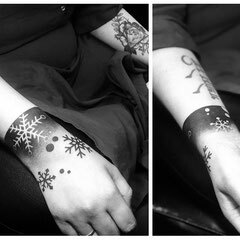 This category has pictures which are newly done on an already existing tattoo (done at other studios). 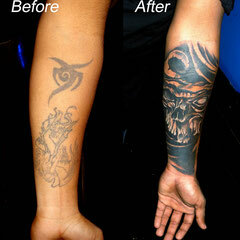 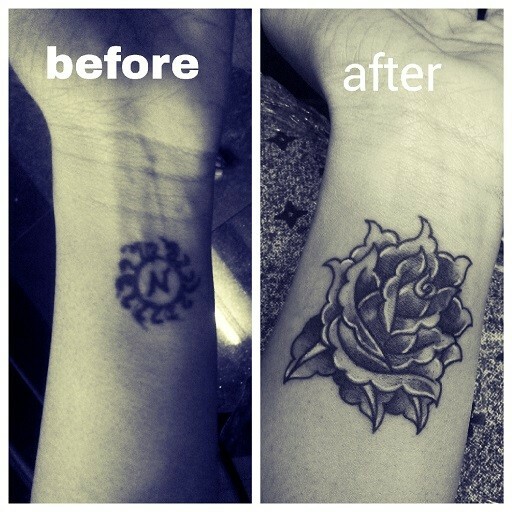 The client didn’t want them anymore as they have either gone bad or simply got bored!